When Yugi beat his classmate Kaiba at a simple game of "Duel Monsters,​" he didn't realize that Kaiba was Japan's #1 gamer,​ heir to the Kaiba Corporation,​ and a vengeful madman! 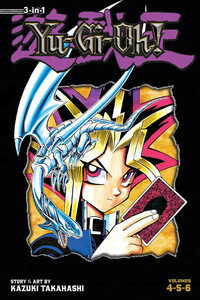 Now Yugi and his friends must survive Kaiba's "Death-T"! Standing between them and escape are the two Kaiba brothers,​ who have spent years and millions of dollars building the greatest "Duel Monsters" deck ever.​ Armed with his grandfather's hand-me-down deck,​ Yugi fights for his grandfather,​ for his friends and,​ most of all,​ for revenge!